Watching four or five monarch butterflies dance around our swan plant (Gomphocarpus physocarpus) last evening was a delight – sadly though, unless I intervene, there likely won’t be a new generation as nesting wasps consume any caterpillars until about the end of February when the predator’s diet changes. my son noticing . . .
At his website, David Lanoue notes: Chidori is an old word, a form of the verb chidoru, which means to measure out a lot on which to build a house. Yesterday turned into a wet day (much, much worse further south on the island so not complaining) so I dived into the video store and hired some DVDs. Jiro Dreams of Sushi (2011) is a delightful documentary looking at the work (which it turns out is also the life) of Jiro Ono, an 85-year-old sushi master who has three Michelin stars for his nine-seater restaurant in a Tokyo railway station. A food writer says dining there may take 15 minutes – which probably makes it the most expensive restaurant in the world. Although no mention was made of whale meat, there was plenty of discussion about tuna. Anyway, it seemed serendipitous to discover this haiku, new to me. The translation is by Stephen Addiss and appears in his book The Art of Haiku (Shambhala Publications, 2012). There are amazingly sharp blades featured throughout the film. 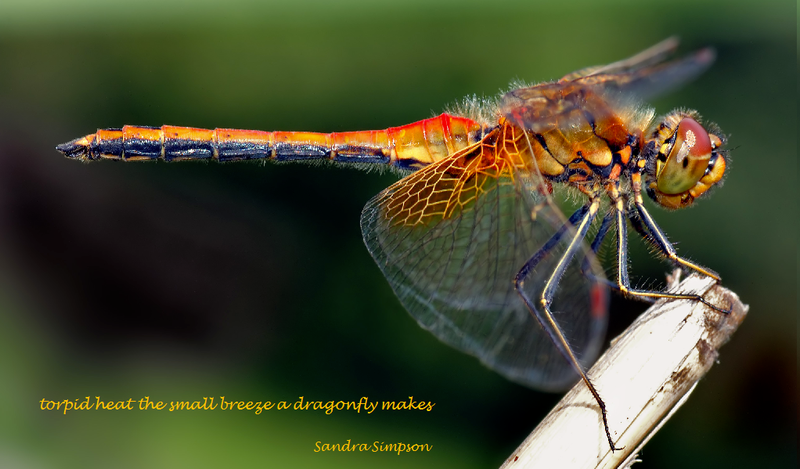 Translated by David Lanoue and from his Haiku of Kobayashi Issa (1763-1828). This note also appears: Shinji Ogawa explains, “Bonito swim along the Black Current (or Japan Current), from the Philippine Sea to the northern sea around Hokkaido. They pass near Tokyo (Edo) in spring [old calendar = summer] on their way north. They return to pass Tokyo in the fall on their way back to the south.” In haiku, bonito is a summer season word. 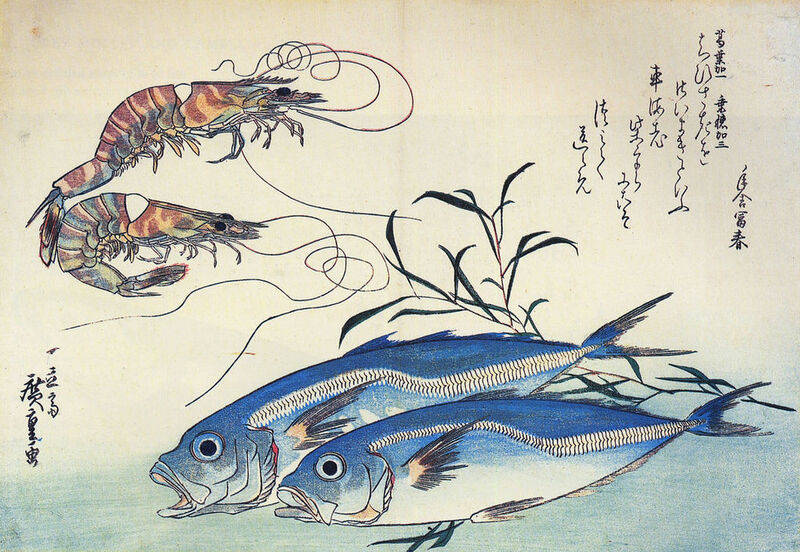 Horse Mackerel and Prawns, a woodblock print by Hiroshige. Image: Wikipedia. Towards the end of the film Jiro, who was abandoned by his family when he was seven years old, and his older son Yoshikazu bemoan the small numbers of fish available, and that the quality is more variable than in the past. They believe part of the problem is the proliferation of sushi bars throughout the world (I had the impression they didn’t much care for the conveyor belt outfits). Translated by Gabi Greve and taken from her World Kigo Database page for Raw Fish, which includes this note: The shrimps are a speciality of Suruga Bay, Sagami Bay and a few others, where they are caught and dried on the shore, with Mt. Fuji in the background … Eating them brings the pleasant feeling of spring, even in winter. 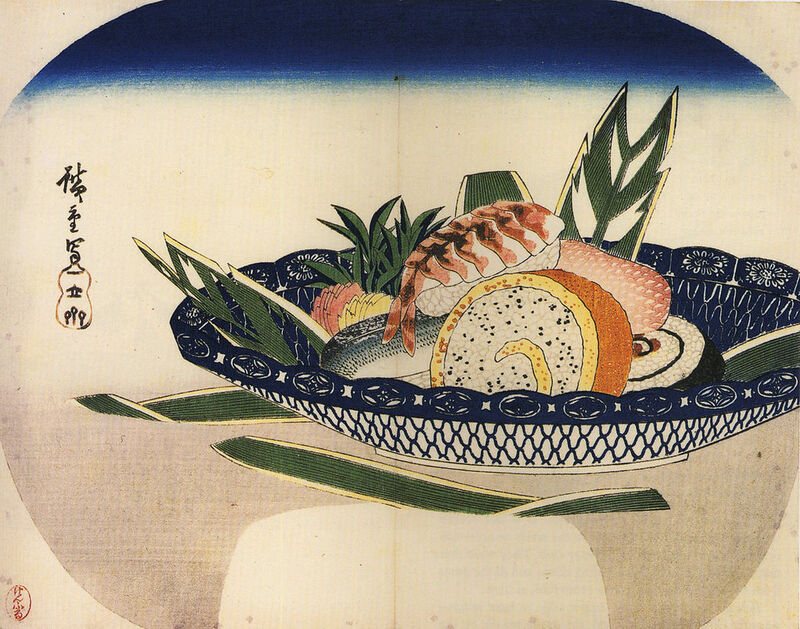 Bowl of Sushi, a woodblock print by Hiroshige. Image: Wikipedia. Translated by Keiji Minato and taken from his essay Notes on Modern Haiku, section 3. Yet another from the back of the wardrobe (still not my wardrobe, honest) is “luxury English soap” Bronnley Merry Christmas which comes in a box with a holly pattern on it, reminiscent of a Victorian Christmas card. At the time the box was made the company had warrants from HM Queen Elizabeth and HRH the Prince of Wales, but its website now displays only the former. From a little bit of surmising I would say the soap was purchased in 2008 (the website has different Christmas soaps now available) but it had lost none of its soapiness or its scent – apple and cinnamon, which yes, did remind me of Christmas, a bit. A pleasant soap to use, a decent-sized bar and it lasted for a good length of time. Although this particular soap is no longer available, on the basis of how much I enjoyed it, I would try a Bronnley soap again. Cost: $9.90 for 100g. Rating 4 stars. Also coming in a box (actually, there’s something a bit special about soap in a box) is Linden Leaves aromatherapy synergy in love again. My first recommendation is to this New Zealand company is to come up with a snappier name! The soap is branded as “vegetable soap” (large print on the front) and is certified organic (small print on the back), while the box itself is printed with “vegetable inks” and is “attractively packaged in a paper-based wrap”. Okay, I added the hyphen, I couldn’t help it. What’s “paper-based” mean, do you think? Some paper and some other yukky stuff we don’t want to mention? What’s wrong with using 100% recycled paper? Back to the small print on the back – besides the rosehip oil and avocado oil there are things with numbers and chemical names on the list of ingredients. I guess we have to figure that if it’s certified organic (why isn’t that on the front in big letters?) it’s all good. The soap itself was pleasant enough, but it is one of the pricier ones I’ve used and that extra cost didn’t really stand out in terms of scent or skin feel. In fact, it was probably a bit less fabulous than the six-year-old Bronnley soap. This soap is tagged as having a scent of neroli, vanilla and sandalwood (although the box shows an orange and orange blossom, which is just plain confusing). You all know how I am about vanilla and, once again, I have been disappointed. Pleasant but not nearly what I wanted or was expecting. See the full range of Linden Leaves soap. At the same time I bought the soap I also purchased a bottle of Linden Leaves ginseng and orange blossom bath salts, which smell divine. Oddly, there is no soap to match. Cost: $14.99 for 100g. Rating 3 stars. Haiku Husband has been gallivanting and one of my proceeds from a recent trip was a bar of Honey I Washed Teh Kids (sic) from a Lush outlet in Dubai. Here’s a link to the New Zealand branch of Lush, which is a UK-based company. The soap is advertised as “toffee and honey” and the bar comes with a honeycomb effect on top of the slice. It does have a scent, but I clock it as something spicier than either toffee or honey. I’ve always wanted to love Lush products but often feel let down when I use them. The fun names and the unique look of the stores usually don’t translate into the same fun at home (website slogan: “magic is something we make”). The soap lathers okay, but being brown the soap isn’t so pretty to look at and the “honeycomb” on the end is sharpish and/or falls off … and this stuff isn’t cheap! Not one I’d try again. Cost: Dhr410/kg or $NZ140/kg (Dhr42.65 for my block/ $NZ14.61). Rating 2 stars. – Kobayashi Issa, written in 1804. This haiku (both Japanese and English) is from David Lanoue’s amazing site, Haiku of Kobayashi Issa. 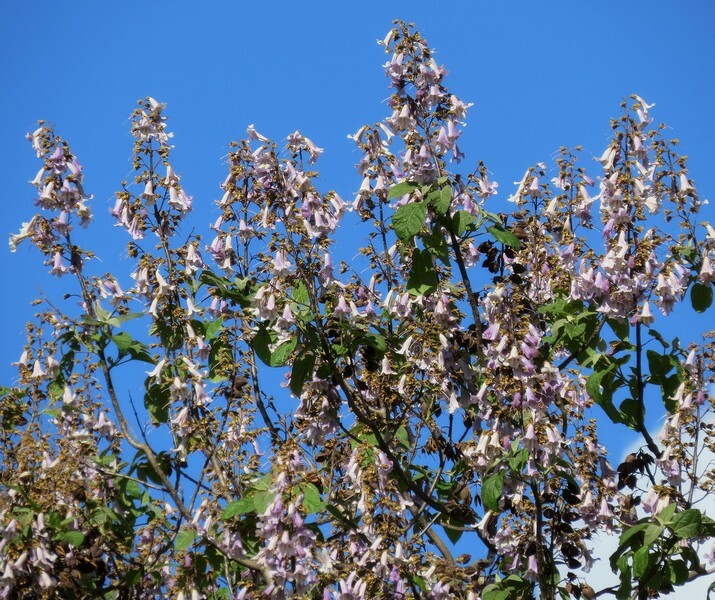 ossom” is synonymous with spring but, traditionally, “plum blossom” in Japanese haiku is a signifier for late winter and, as that’s where my part of the world is at, it’s timely to shine a small spotlight on this flower. Several years ago I joined a Chinese brush-painting class where we worked through the “four gentlemen”, starting with bamboo before moving on to orchid, chrysanthemum and finishing with plum blossom. Our teacher, Sally, had a magnificent scroll painting of plum blossom she had bought in Hong Kong. It was enormous and masterfully done. 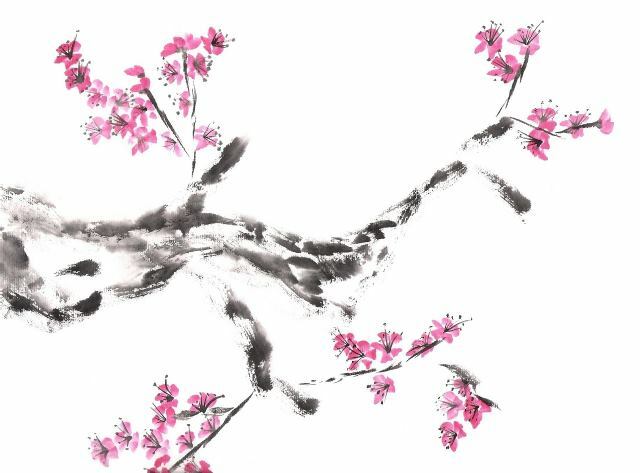 Painted images of plum blossom often show snow on the branches too, reinforcing the late winter season. Read more of Issa’s plum blossom haiku. I visited Japan in April 2012 and while the cherry blossom was opening in the lower areas, in the higher country we were still in late winter. This photo was taken in the Fuji Five Lakes national park (Fuji-Goko). Gabi Greve, writing about plum blossom on her World Kigo Database website, says plum blossom viewing was a popular pastime, particularly in the Heian period (794-1185), but was done more on an individual basis than by the big groups who undertake cherry blossom viewing – red plum blossoms remind the viewer of the coming spring, while white blossoms are a reminder of the snow that may still be about or still to fall. The earliest documentary evidence for female authorship of haikai is … Enokoshu (The puppy collection, 1633), which collected verses written by poets of Tei-mon, the oldest school of haikai. [It] contains works by a person identiﬁed only as “Mitsusada’s wife”. Of the 178 poets represented in the anthology, she was the lone woman. That statistic, and her being listed under her husband’s name, suggest the kind of status to which women were conﬁned in haiku circles during this seminal period.